The meeting is a thank you from the neighboring communities to their people for the great support of the airfield Dübendorf. 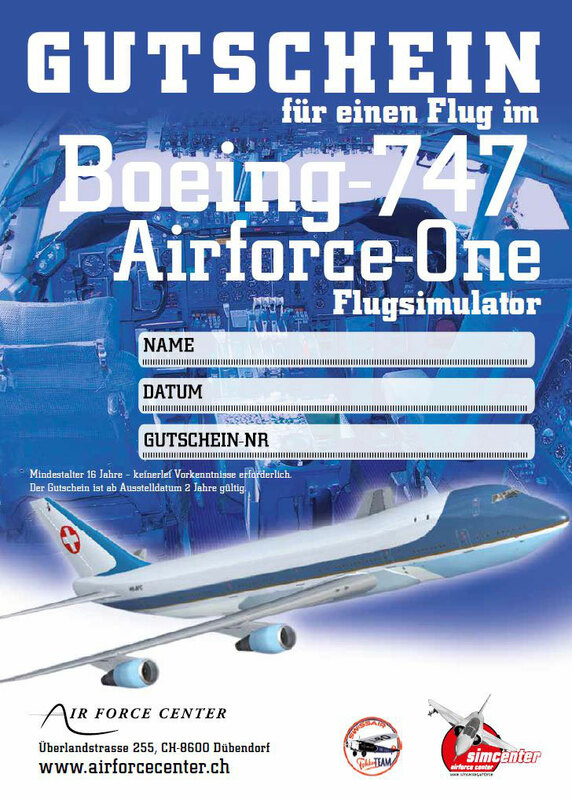 Exhibition "An airfield for the people"
Gift certificates awailable for Flight Simulator "Airforce-One"
Experience the largest simulation project ever realized. Become a part of this great project and support our efforts by becoming a member of the 747 Association. 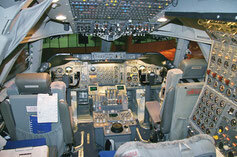 Meet pilots, flight engineers, simulation friends, and followers of jumbos. Take advantage of the Association and fly a 747 in Kaitak or simply from Zurich to Geneva, either as Airforce-one or simply as Swissair SR110. The AIR FORCE CENTER DUEBENDORF is the new homebase of the Air Force One 747-300 Flight Simulator. Ready for commercial use by 2017 it offers flights across Switzerland and all over the world, accompanied by instructors.